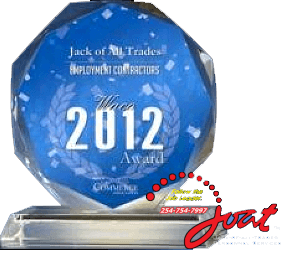 Jack Of All Trades Personnel Services – a dedication to the growth and productivity of our clients and their people. It is very evident that a company is made by its people. Every business depends on its people for success. This makes hiring a crucial part of your company’s operations. This is also where our Employment Agency in Waco, Texas comes into the picture – Jack Of All Trades Personnel Services is at your service to support you in Human Resource Pooling, Job Matching and Employment. We screen our applicants and sort them according to experience and specialization. This makes it more efficient for us to provide you with the staff that you need when you need them. We respond to your staffing needs promptly. Call our office to begin services – 254-754-7997. Check out the most current positions we have to offer under the “Current Job Postings” tab or check out our facebook page! Let us help you with your job search!